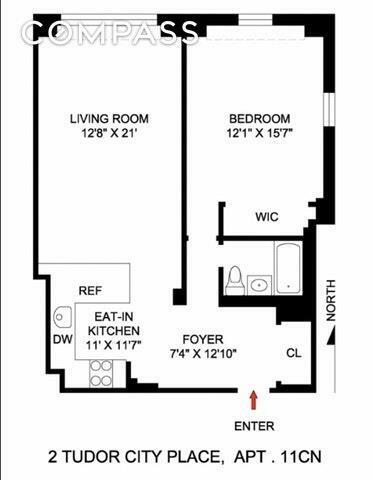 Most lovely one bedroom with sunny and open views of the historic Tudor City buildings and Park as well as the East River. The original kitchen space has been expanded to allow for a stunning custom designed open kitchen with top of the line finishes and appliances including Miele range stove & dishwasher, Sub-Zero refrigerator & freezer and custom maple cabinetry. Terrific closet space throughout the apartment. If this were not enough, already low maintenance includes utilities. Pets are ok. Pieds-a-terre, co-purchasing and guarantors are on a case-by-case basis. 2 Tudor City Place is a full service established cooperative building with a private courtyard garden, central laundry room, storage lockers and a garage with a monthly rate of a little above $300. Tudor City is a quiet enclave in the heart of Midtown East conveniently located steps from the UN, Grand Central and all other landmarks and public transportation. 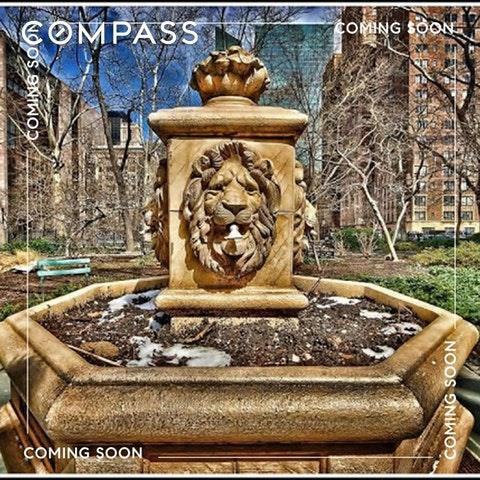 Listing courtesy of Eric Fain of Compass.